Basingstoke – March 22nd, 2016 - Sony’s new 4K network camera, model SNC-VB770, offers the highest sensitivity in its class - under 0.004lx, ISO 409600*. The new model combines ultra-high sensitivity with 4K resolution and advanced networking capabilities to give video professionals more flexibility to capture details even in extreme low-light conditions. The new SNC-VB770 camera achieves high resolution and sensitivity, in addition to low noise due to its image processing and full-frame 35mm Exmor sensor – all developed by Sony. 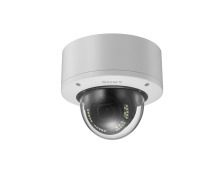 The SNC-VB770’s supports Sony’s high performance E-mount lens series which includes a variety of lens options from wide angle to telephoto, allowing easy integration into a range of video capture applications, including surveillance such as city, transportation, police, port and utility. 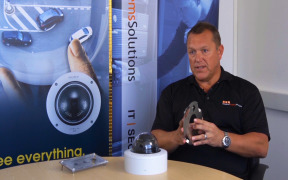 With the exceptional detail provided by 4K technology (4 times the detail of full HD) security professionals, for example, can expand their wide area surveillance and still capture, magnify and examine the smallest parts of a scene like a face or a car license plate number – all with a single camera. The new camera uses area-specific noise reduction to selectively divide images into areas based on patterns (such as edges, textures and evenly colored areas like blue skies) to efficiently reduce noise. In addition, detail reproduction technology further enhances image quality. E-mount lenses are optimized to maximize the performance of the 35 mm full-frame sensor, keeping resolution high across the entire image area from the center to the lens periphery. The camera’s Intelligent Cropping feature lets users capture a full view while cropping images in its native 4K resolution from multiple images at the same time, with either 3 or 5 simultaneous video streams. Intelligent Cropping has two modes, static and dynamic. Users can select “static” to see multiple specific areas in one scene. They can capture an overview image and the details of the cropped areas at the same time. “Dynamic” mode uses the intelligent motion to detect, crop and track moving objects automatically. Intelligent Scene Capture automatically adjusts and adapts picture quality (brightness and color) depending on time, weather and lighting conditions. The camera also allows users to customize picture parameter presets for the best settings. Multiple picture configurations can be saved and switched either manually (using the Picture Profile mode) or according to schedule (Picture Profile Scheduler) to ensure the best picture quality day or night. The new SNC-VB770 will be available in Europe during the summer 2016 and partners across Europe are invited to register here to join an introductory product webinar on Thursday 14 April at 1.00pm GMT to learn more. Loss prevention is moving up the retail agenda as margins continue to be squeezed. Read our white paper to see how serious the issue is, discover where the high-risk areas are, understand how the advantages of anti-loss surveillance break down and know what criteria to consider when choosing a loss-prevention video security solution. A cameras dynamic range  the ability to capture extremes of light and shade  makes a big difference if youre monitoring sun-drenched offices or dimly-lit car parks.